I could not think of anything that really deserves Argentinean flyweight contender Luis Alberto Lazarte in his boxing career other than to dismiss his license to fight and leave boxing for good. Lazarte’s recent showing of his craft on “dirty” boxing exemplified such expertise on his recent loss to the brave Filipino Johnriel Casimero. Casimero who is 19 years younger than his 40-year old opponent showed more respect for the sport of boxing by simply trying to win fairly but was forced to retaliate at times provoked by the embarrassing Lazarte whom I believe is just a waste of a contender in the sport. For the record and for everybody’s information, Lazarte in his 16-year, 63-fight career has been involved in at least 5 fights that ended in disqualification. This is not to count the dirty fights that he’s been involved with that lasted the distance. In only in his 10th fight as a pro fighter, Lazarte was disqualified with his dirty ways against fellow Argentinean Marcelo Antonio Davila. This was followed by another disqualification loss to the 2nd fellow countryman Horacio Fabian Chicagual. The dirty style was becoming to be a habit as his next disqualification loss was against the 3rd fellow Argentinean and former Nonito Donaire victim Omar Andres Narvaez, the result of the disqualification to Narvaez was repeated headbutting. The habit was simply too hard to contain as for the fourth time he lost again by disqualification against tough hombre and Brian Viloria nightmare, Edgar Sosa of Mexico. The reason for the disqualification was constant delivery of low blows. The most recent involvement of Lazarte that resulted to disqualification was against another compatriot Juan Carlos Cejas, both protagonists were disqualified as Cejas kept taunting and teasing Lazarte that resulted for the latter to lose his cool. Lazarte in the process punched Cejas who was on his way to his corner after the bell rang ending round 6. The constant taunting of Cejas and the punching of Lazarte twice during the end of rounds 4 and 6 prompted the referee to declare a no contest decision. It is also worthy to mention that boxing media called the two fights of Lazarte against Mexican Ulises Solis for the IBF light-flyweight title as a 24-round foul-filled fight. 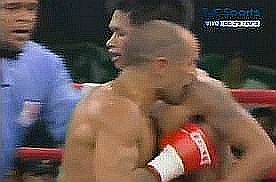 In the first fight, Lazarte was deducted points due to repeated rabbit punches in rounds 4 and 10. In the second fight, Lazarte was again deducted a point in the 9th round for the same offense as in the first fight. There is no doubt that Luis Alberto Lazarte is a notoriously dirty fighter. Fighting in his hometown of Mar del Plata in Buenos Aires Argentina before his cohorts of fellow hoodlums from their Trucking Union, Lazarte may have thought that he could easily fight with his no-holds-barred fighting style worse than a normal bloody UFC fight to the young Filipino whom I believe from the start was already dismissed by the partisan Truck Union members of Lazarte present in the capacity crowd of Club Once Unidos. Lazarte showed an assortment of dirty tactics like shoving Casimero throughout the fight, delivered a punch to the Filipino during the break, did a ‘Mike Tyson’ by biting the shoulder of Casimero at least twice, delivered several low blows, holding his opponent’s arms longer than usual, purposely advancing with his head most of the time aiming for a headbutt, applied rabbit punches more than the Filipino did yet it was Casimero who was given point deduction on that particular foul play. But probably, what could be worse that Lazarte did was his successful delivery of his acting by portraying as if he was the one on the losing end from the foul-filled fight with Casimero. Several times Lazarte gestured that he's hurt from Casimero was a product of deliberate foul play. This gesture was crucial as it evoked anger from the partisan crowd that triggered a melee that could have killed if not seriously hurt some of Casimero’s team members. Lazarte’s misbehavior on the ring reflects those of his cohorts in the Truckers' Union and corner team watching the fight by creating a melee to mug only 3 Filipinos against hundreds of them. With their uncivilized actions, they never thought of someone could get seriously hurt or worse die. I expect something severe from the International Boxing Federation (IBF) whose supervisor Anibal Miramontes was physically present in the fight to witness the ugly turnout and also from the Argentine Boxing Federation (ABF) lead by its president Osvaldo Rafael Bisbal to apply the necessary vindication not only for the 3 Filipinos and 2 Americans hurt by the melee but also for the respectability and dignity of Argentina boxing to the world. Until sanctions applied to these Lazarte cohorts, Argentina will remain to be the EMBARRASSING BOXING CAPITAL OF THE WORLD. Lazarte with his age I think should retire or else face the wrath of getting his fighting license dismissed. I would surely be surprised if he won't get banned indefinitely. Photo: Lazarte munches on Casimero's shoulder.